It’s that time again! Let’s get together, eat, and socialize! Please join us in our local gem, Golden Gate State Park, for a potluck BBQ (please bring a side dish). 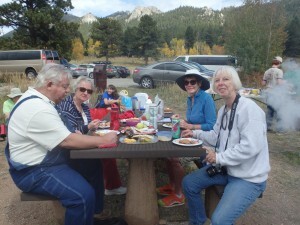 We will meet at the Ol’ Barn Knoll Picnic area on Mountain Base Road. For more information, please contact Linda at weecreekers@gmail.com. Carpooling is available. Cost: Free; please bring a side dish to share.